Interview with Kael Smith, Mute Forest. Lost Tribe Sound is a record label that specializes in organic, gentle, and exploratory music that transcends genre, technique, or trend. The label’s forthcoming release is Mute Forest’s sublime debut ‘Infinity Pools’ EP. 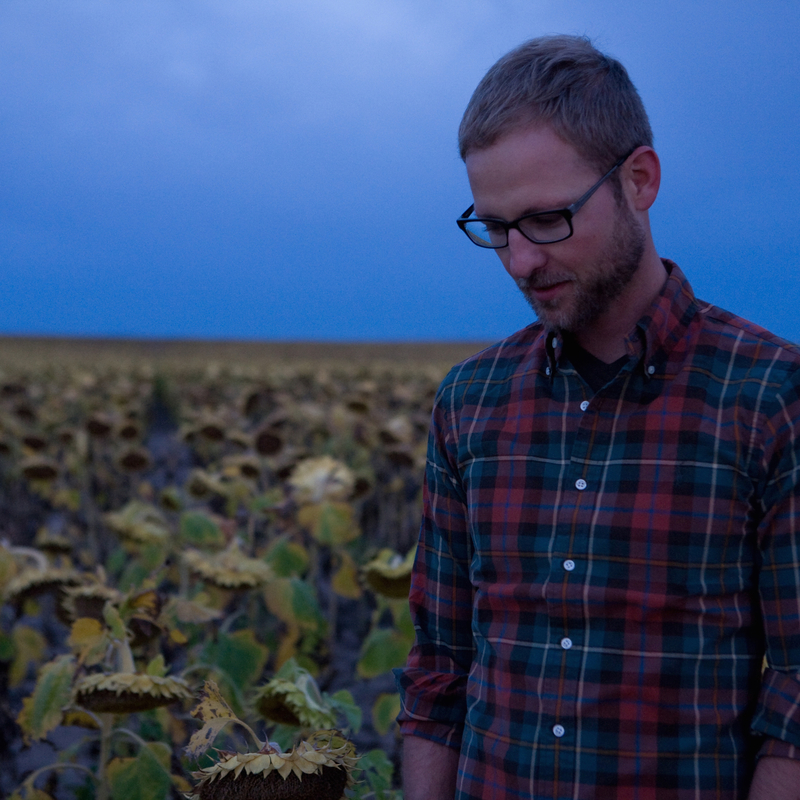 A companion piece to Kael Smith’s expansive debut full-length, ‘Deforestation’, due out this Autumn. The opener ‘Crypt’ begins with warm, scintillating rhythms before a wave of masterfully crafted layers of electronic and acoustic elements converge. Soft guitar tones ripple gently into the forefront of the mix. Smith’s luminous vocals lie somewhere between the Notwist’s Markus Acher and Kranky artist Benoît Pioulard: at once Mute Forest’s beguiling sound feels familiar and immediately vital. The highly promising EP combines elements of folk, found sound and ambient soundscapes that conjures up the timeless sounds of Helios, Benoît Pioulard and a host of other electro-acoustic milestones that have graced the atmosphere these past few years. 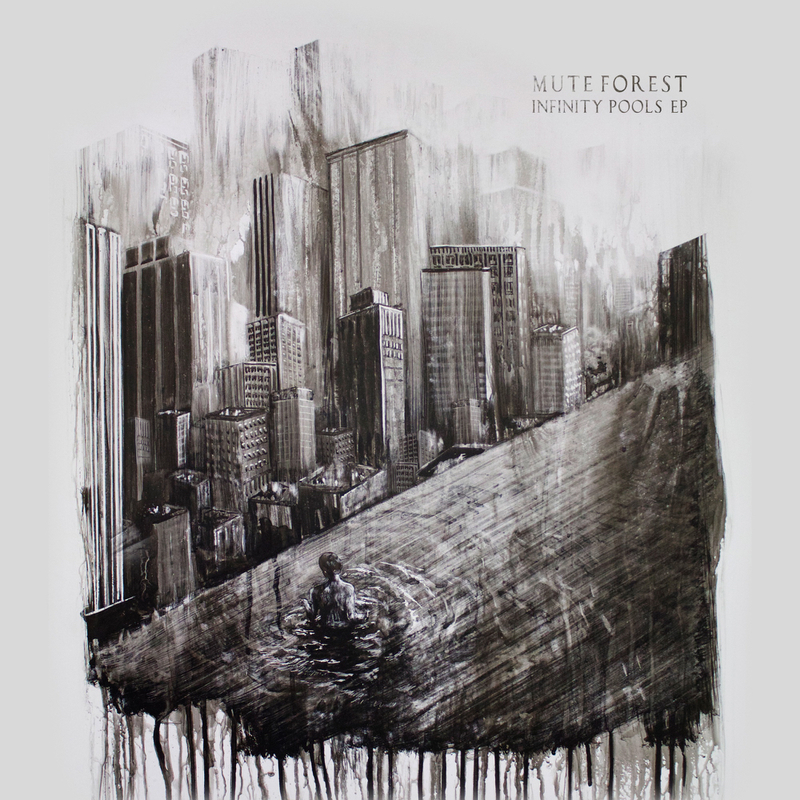 The cover artwork by Gregory Eulicide (Bon Iver, Erased Tapes) serves the perfect embodiment to ‘Infinity Pools’’s desolate journey, depicting faded city skyscrapers as a vivid sense of searching and yearning traverses the human space. ‘Volcanoes Flowing’ contains a myriad of enchanting sounds; keys, synths, percussion and manipulated field recordings serve the gorgeous ebb and flow to Smith’s heartfelt lament. A darker mood falls on the title-track as Smith’s brooding vocals melt into the slipstream of hypnotic beats and swirling electronics (also featuring vocals from Kelly O’ Brien), reminiscent of Thom Yorke’s solo works. ‘Eat The Skin’ is built on a warm acoustic guitar chord progression that pushes the sonic envelope while being rooted in an age-old tradition. ‘Infinity Pools’ is the first chapter in Mute Forest’s striking narrative. Later this year, Smith’s debut full-length ‘Deforestation’ will forge another compelling journey via the Lost Tribe Sound imprint. ‘Infinity Pools’ is out 07 April ‘15 on Lost Tribe Sound. Congratulations Kael on the gorgeous debut EP, ‘Infinity Pools’. The immaculate instrumentation and production are one of the striking aspects of this batch of four compelling songs. Can you talk me through the recording of these songs? What does the studio set-up consist of? Kael Smith: Wow, thanks Mark. I appreciate that a lot. Everything is written and recorded in my home studio. I’m still kind of finding my way in regards to home recording and mixing. A lot of trial and error is involved. I record everything into Ableton on my laptop, which I have sitting alone in a sound proofed closet to eliminate fan noise. A couple of new pieces of gear that are featured on these tracks are a Roland RE-301 Chorus Tape Echo and Maestro Rhythm King drum machine. There are also a lot of manipulated field recordings in these songs. ‘Crypt’ in particular has samples of sizzling meat used for snare hits. Lately I’ve really been striving to make every sound original. As in no packs, no soft synths etc. It’s very interesting to think ‘Infinity Pools’ serves the prequel to the forthcoming debut LP, ‘Deforestation’. How do you see the relationship between ‘Infinity Pools’ and ‘Deforestation’? I can imagine it’s more a case that one serves as a companion piece to the other; what is the narrative running through these songs? KS: It’s actually more of a reverse narrative, so to speak. The EP was written after Deforestation but we’re releasing it first. Because, why not confuse people on your first release?! But really though Infinity Pools is a direct response to Deforestation. Deforestation is more of a holding pattern whereas Infinity Pools is the first step forward. At the heart of ‘Infinity Pools’ are deeply affecting folk laments, reminiscent of the captivating sounds sculpted by Benoît Pioulard, Keith Kenniff, Peter Broderick et al. My current favourite is the stunning tour-de-force, ‘Volcanoes Flowing’. The lyric “this is a window/it stays open/for how long/let it go” resonates powerfully; a sense of searching is beautifully etched across the sonic canvas. The vocal delivery is also immense. I would love for you to talk me through the construction of ‘Volcanoes Flowing’ please? KS: Again thank you. I respect and listen to all the artists you mentioned above. It’s interesting you bring up the word folk with a song like “Volcanoes Flowing”. The version on the EP is largely electronic but the original demo was just acoustic guitar, piano and vocals. So the original did contain folky elements. It kind of sat like that for a while before I dug it up and reworked the entire thing. The only element that stayed from the original demo was the vocals. The stripped back ‘Eat The Skin’ serves the fitting close to the EP. I was very interested to read how the seeds of this song was sewn as the starting point to A Winged Victory For The Sullen remix of a piece from their ‘Atomos’ LP. In terms of remixing an artist’s work, what was the starting point for you? Also, I would love to know which particular ‘Atomos’ piece (I to XI) did you cover? At what point did you decide ‘Eat The Skin’ would evolve into an original composition? KS: A few years back I did a remix of the Nils Frahm track ‘Me’ off of his album Screws. This was for my other project, Mombi. I ended up adding vocals to the remix which for me was kind of scary as I didn’t want to spoil or undermine Nils’ instrumental aesthetic. But I wrote sincere lyrics that were inspired by his piano and they came from an honest place. So I decided to release it. 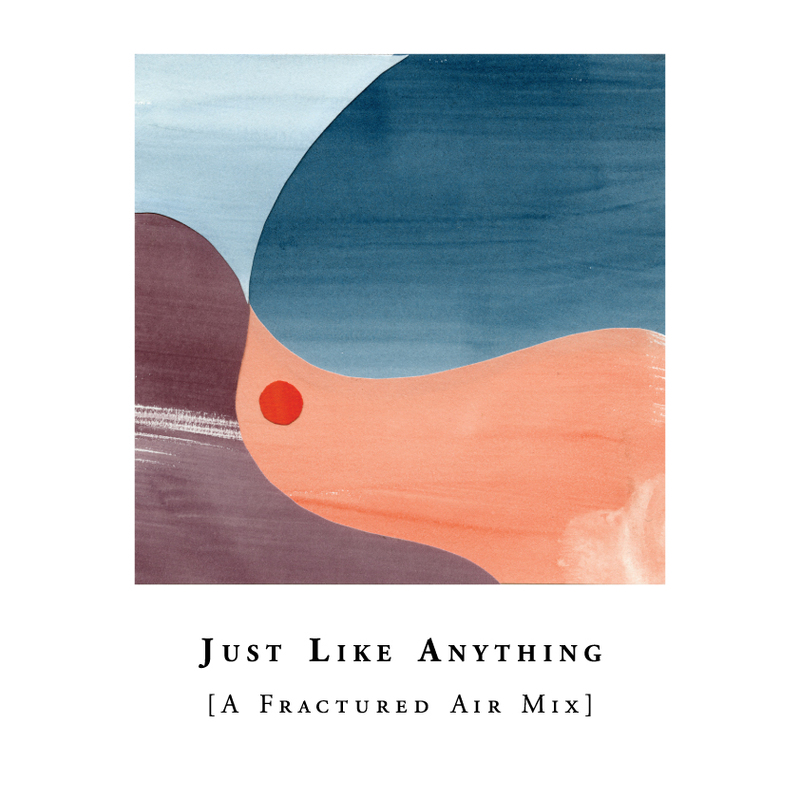 The response I got from the remix was positive and I wanted to see if I could catch lightning in a bottle again with AWVFTS. I really love their work and I decided to take a crack at Atomos VII. It just never quite turned out the way I wanted and it wasn’t until I subtracted the strings and replaced it with acoustic guitar and organ that it kind of became its own thing. It’s funny, AWVFTS are not on ‘Eat the Skin’, but that song would not exist without Atomos VII. Their ghost is in it somewhere. Can you shed some light please Kael on the forthcoming ‘Deforestation’ LP? KS: Certainly. Deforestation is a very isolated and bucolic record that I wrote largely around field recordings taken in the Rocky Mountains of Colorado. It was a very introverted writing process that I’m not sure I’ll ever attempt again. Thematically the record largely focuses on a middle-aged couple I met at a dinner party one night that were dating again after something like 30 years apart. I found that quite fascinating. It led me to explore themes of ageing, love, identity, growth and complacency. The title, Deforestation, came to me while recording parts of the forest ravaged by the mountain pine beetle. These forests are dead, rotted and devoid of most activity and span thousands of acres here in my home state. The record itself is 9 songs and was mastered by Taylor Deupree. We’re shooting for a fall release on vinyl via Lost Tribe Sound.